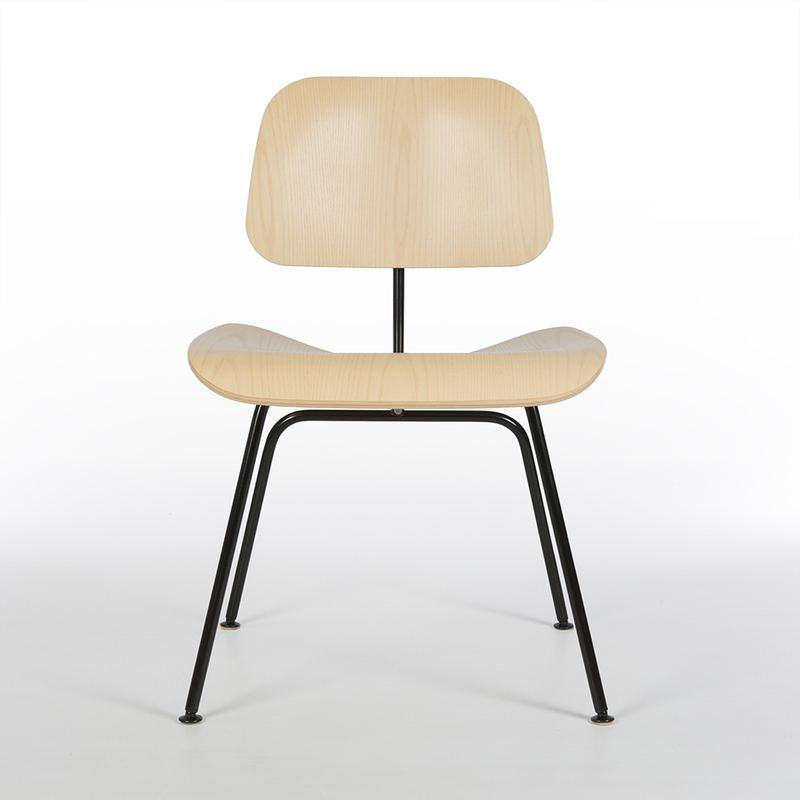 A gorgeous example of an Eames moulded plywood DCM chair. 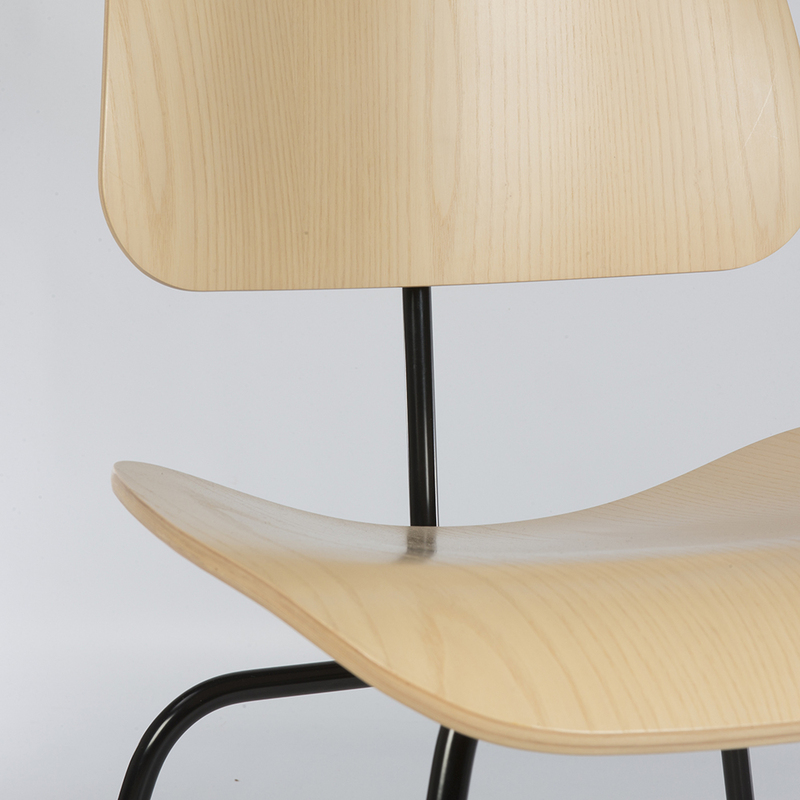 This original DCM by Herman Miller has been finished in a rather exquisite white ash wood. 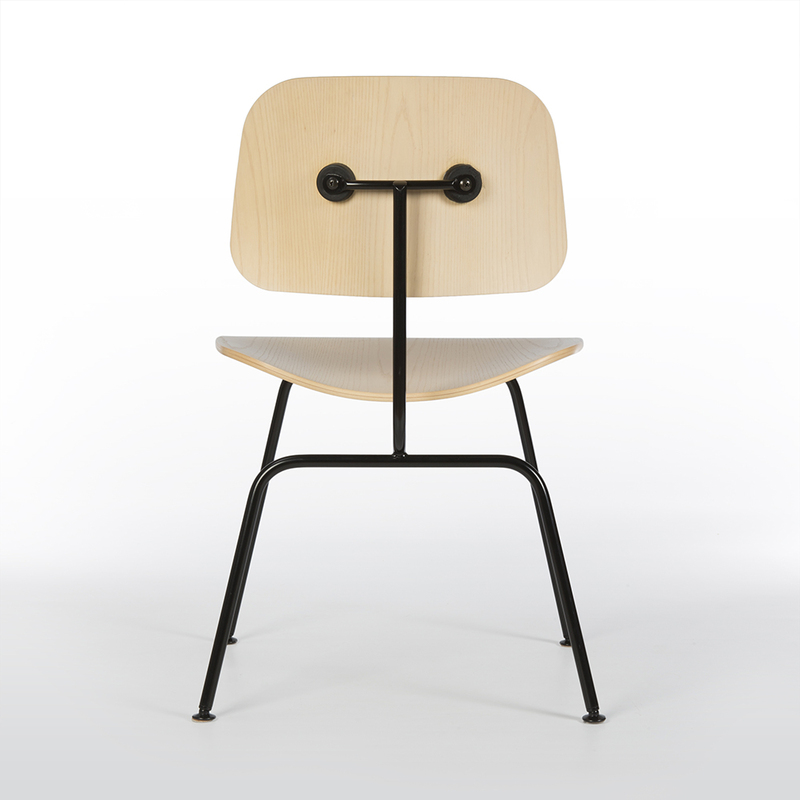 The light finish of the wood is complimented by the powder coated stark black of the trivalent frame, creating a truly stunning version of this iconic chair. 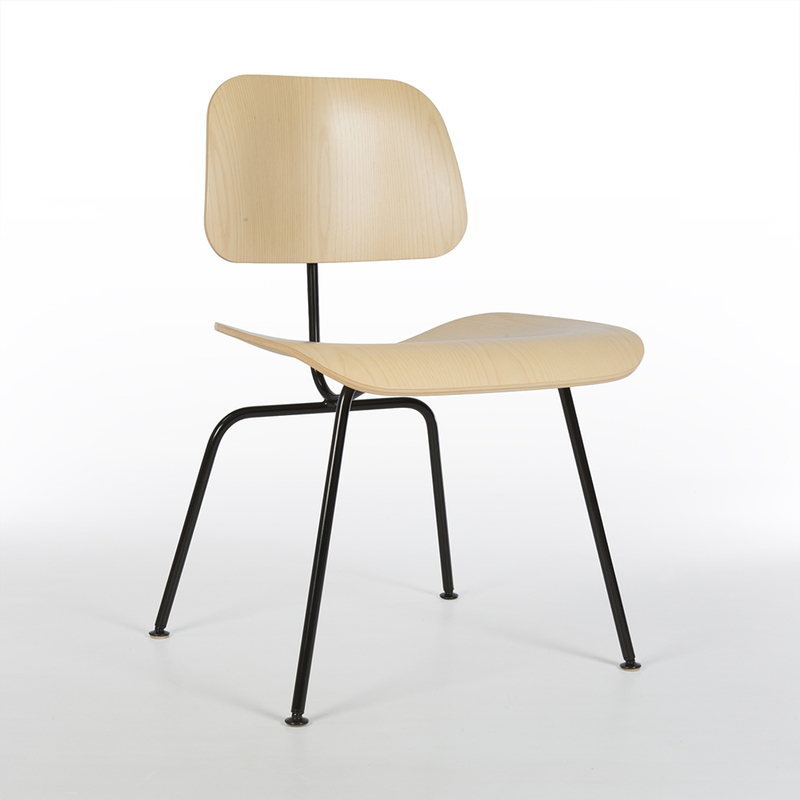 As a bright variant of the iconic plywood range, this used newer version is in great condition with only some small signs of natural use. 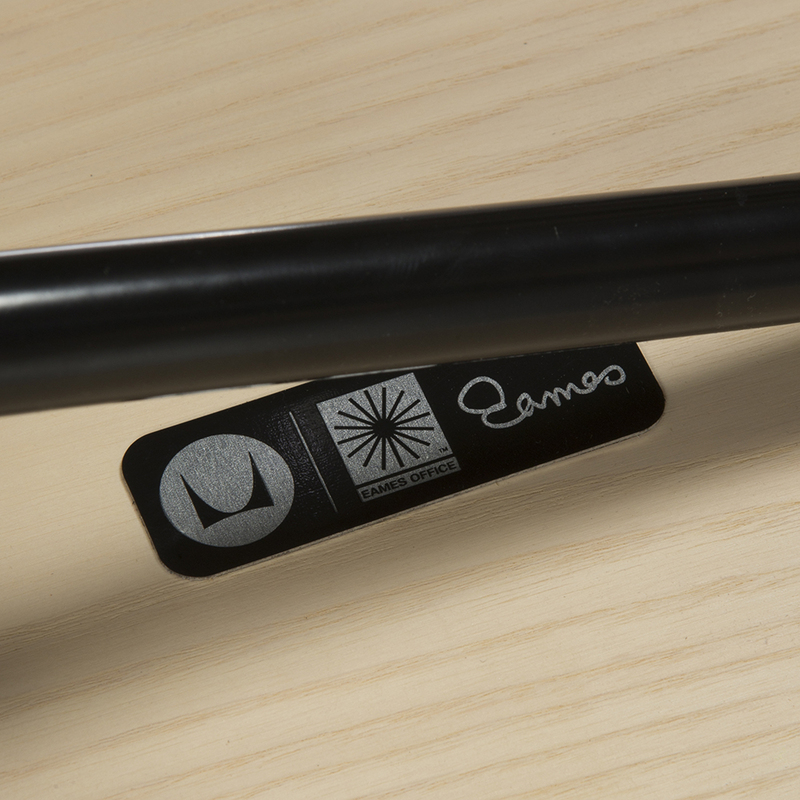 The black base is also in good condition, there are some small sections which display its previous use but overall it is in good condition. 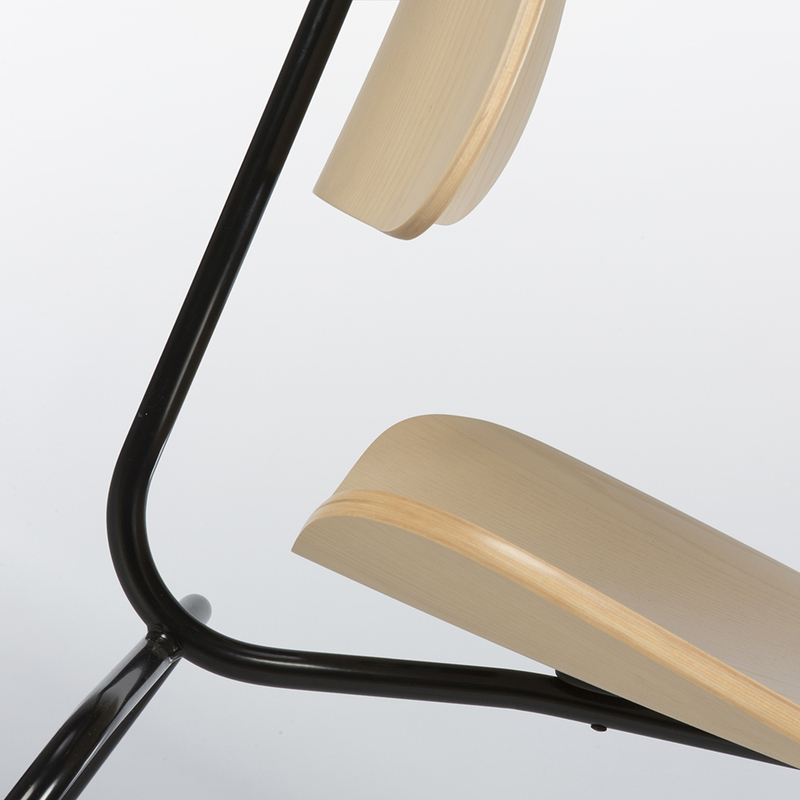 This unique finish is very difficult to find outside of the USA. 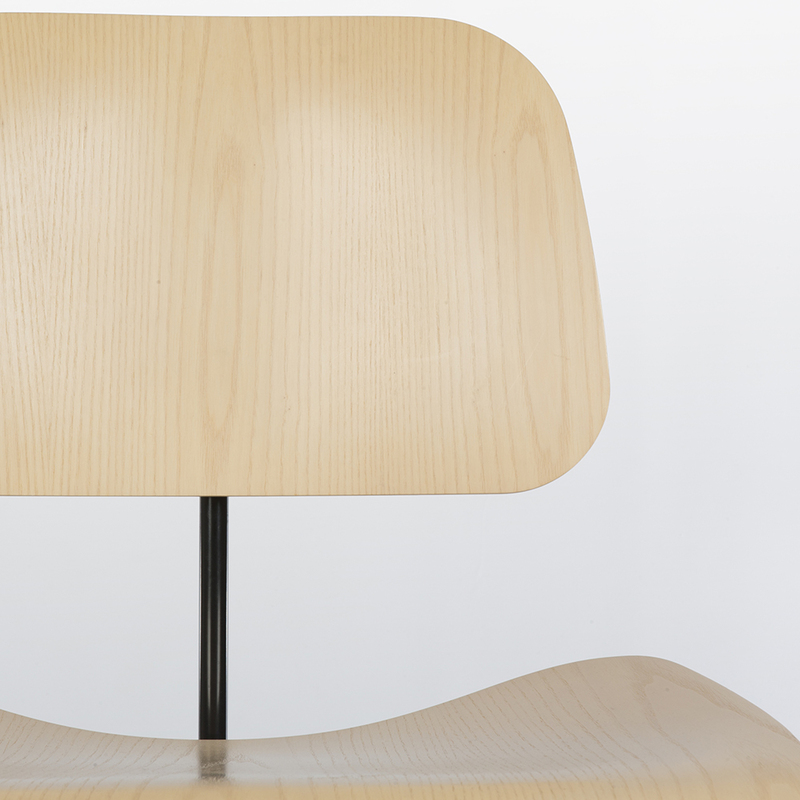 The sticker on the underside indicates this is a newer Herman Miller example.